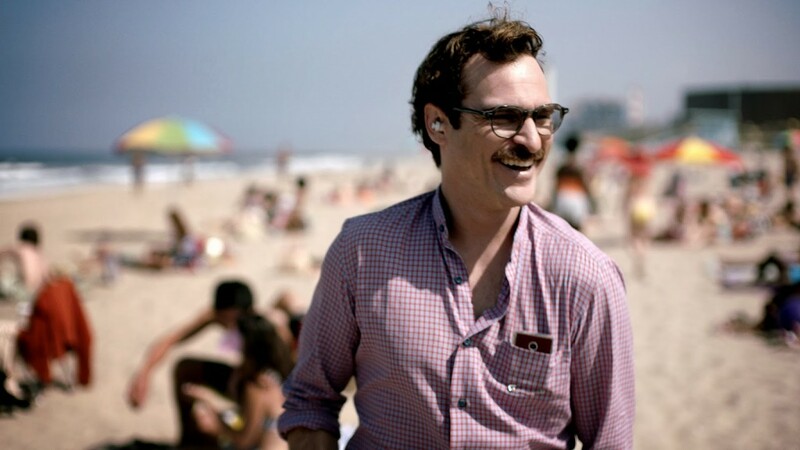 If you watched the Golden Globes last night, you saw director Spike Jones take home an award for the movie Her. The basic plot of the futuristic film involves the relationship between a man and his computer’s operating system. But it also depicts a city (a future Los Angeles) in which the residents are mobile, relying on public transportation, and spend a lot of time outside. Joaquin Phoenix’s character Theodore takes his OS, Samantha, everywhere with him. To be more precise, the world she wants to experience is the world that’s outside. Through the lens of a small, portable device, Theodore brings Samantha to the beach, to a snowy cabin in the woods, on his walks to and from work, and on the train, where they can gaze together out the window. Computers in the Her world are encased to look like wood. What’s so exciting about Jones’ depiction of this futuristic city is that the residents value common, outdoor space. The housing of computers even mimics wood, conveying a warmth and reminder of the world outside. There is a lot of light, many windows open to the world. There is also the reminder that if we don’t use those spaces to connect, to make meaningful experiences with each other, we might as well be by ourselves. Behind the film’s vibrant reds is a green sensibility, a hope for the design of future cities and optimism for our future together. As long as we don’t get taken over by our OS, of course.